My last scheduled speaking engagement in 2016 is next week in Houston. The topic will be an introduction to genetic genealogy testing and how to apply the test results to genealogical questions. 1 p.m., Thursday, 10 November 2016, Houston, Texas: GATA GACC! DNA and Genetic Genealogy Today – Bear Creek Genealogical Society & Library – Westlake Volunteer Fire Dept. station, 19636 Salms Road. (I-10 West to the Fry Rd. exit; turn right / north and travel about five traffic lights; turn right on Salms Road and immediately see new building on left; turn left into parking lot, drive past building, enter at double doors in front of building, turn right into auditorium. Located in a two story brick building on northeast side of Saums Road after you turn at the Saums Road light next to KF; not the old original metal building across the street.) See also www.bearcreekgenealogy.org. I hope to see many readers and friends there next week. Please stop by and say hi. 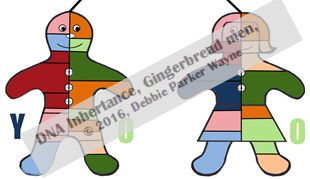 Debbie Parker Wayne, "Nov. 10, 'DNA and Genetic Genealogy Today' at Bear Creek Genealogical Society (Houston, TX)," Deb's Delvings, 5 November 2016 (http://debsdelvings.blogspot.com/ : accessed [date]).